The only event catering to sunless-only professionals! THE ONLY EVENT IN THE WORLD FOR SUNLESS-ONLY PROFESSIONALS! The third annual Sunless Summit is back...and bigger and better than before! 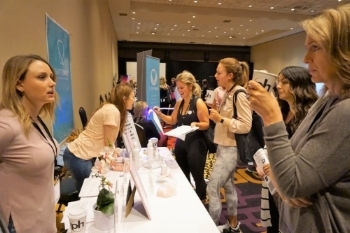 Association of Sunless Tanning Professionals is proud to bring sunless-only providers from across the globe together in one place to learn from each other and grow. In addition, we are inviting sunless product and service providers to join us. What will commence is two and a half days of education and networking that is unparalleled in the industry. Important note! You must be a sunless-only business to register for The Sunless Summit. ASTP and our members are committed to remaining a sunless-only organization, therefore ASTP membership is required for registration to ensure our sunless-only stance is upheld. 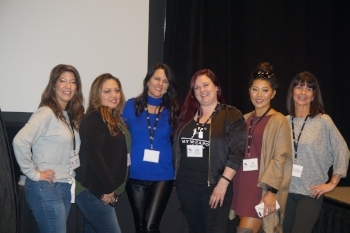 D'Ann Palomarez of Tanspire in Houston, Texas, shares her experience at 2018 Sunless Summit and since becoming an ASTP member. "Is it just me or is anyone else sad that the Summit is over? Wow what an awesome event! I came home and talked my husband's ear off about all the incredible women I met and all the knowledge I soaked up to rock at my sunless studio this year. I've owned my business for eight years now and I learned so much in three days. Makes me proud of what I do and the industry we are all in. Counting down til next year's Summit already. A big thank you to all of the sponsors and to the ladies that put this together!" "I have been an Esthetician for 10 years and have been spray tanning for about nine. I started my business at 19 and through many trials and errors I somewhat know what I’m doing now. Going to Summit was so amazing! I have finally found my tribe that I have been searching for the last 10 years! I love tanning and I loved meeting all you wonderful ladies and gentlemen. I look forward to coming back next year and many more years to come. "A huge shoutout to the ASTP team who pulled off an amazing conference. I am completely impressed how this group of women empower and support one another. I loved how the vendors and speakers were in attendance of each other’s sessions, I think that says A LOT about the women in this group.. This was my first year and I’m already looking forward to next year. I left feeling full of inspiration and energy, committed to going to the next level. I was completely overwhelmed, my ADD was in overdrive...but all in a good way. Goes to show, women can move mountains!" "A week ago today I came back from one of the most incredible trips of firsts for me! I got to fly by myself, have my own badass room at Planet Hollywood, attend my first spray tan convention (which will be a yearly thing for me from now) and talk endlessly about spray tanning! It was so much more though. I’ve never been around so many women who were so supportive and welcoming. Many of us were nervous because we knew no one...but came out with 160 new friends! How amazing! It was like I’ve known these incredible, beautiful women my whole life! My brain was fed with so much new knowledge and my heart filled with hope and belief! I laughed, I cried, I hugged, I loved! Words can’t even express what that ASTP convention did for my soul. Not to mention, I WON a brand new spray tan machine! Now if that isn’t a sign that I’m on the right path, I don’t know what is. I’m so excited to soon be implementing what I’ve learned as far as my marketing and new products!" Association of Sunless Tanning Professionals (ASTP) is a professional trade organization created for sunless-only spray tanning professionals by one of your own. EDUCATION and CONNECTION are the cornerstones of ASTP's strong foundation.